Most couples choose to divorce using an adversarial system of law that was designed for strangers to go to war and then move on never to see each other again. In family law cases, however, the relationship between the ex-spouses continues throughout the divorce and, when there are children involved, for many years after the final hearing. How the couple handles the divorce from the begining will usually set the tone for how they interact with each other for a long time. It the couple starts with a long legal battle, they usually condemn themselves to many trips back to court for modifications after the divorce is over. Although there will always be cases that should be litigated, like cases involving domestic abuse, there are more cooperative approaches that preserve a respectful relationship between the husband and wife. 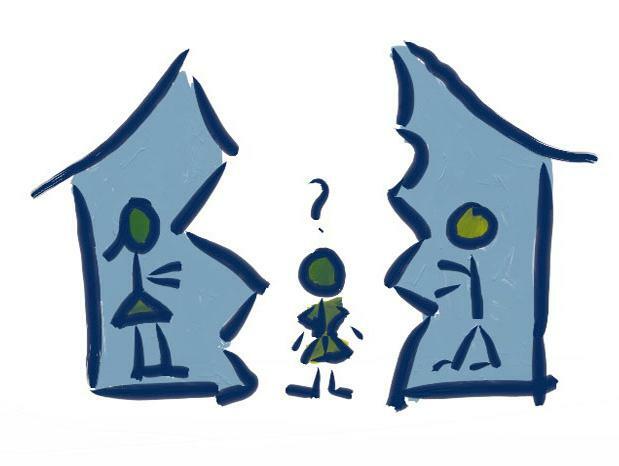 Mediation teaches the couple a healthier aproach to resolving their conflicts and preserves a healthier relationship needed to co-parent after the divorce is over. Mediation is a voluntary and informal process in which the parties resolve their own disputes without a judge imposing a solution upon them. Unlike a trial or arbitration, mediation gives the parties the opportunity to speak to each other face to face in an informal meeting that is guided by a neutral and impartial third person called a mediator. The mediator's role is to help the parties communicate their positions to each other in a constructive manner that helps them craft their own solutions. Saves Money: The average cost of a litigated divorce is about $25,000 with costs going much higher if the parties use the courts to engage in all out war. Saves Time: Litigation can often take many months or years depending upon the complexity of the case and the degree of conflict. Mediation can be completed in one or several sessions lasting a few hours. Saves Relationships: Though not a problem when parties never have to deal with each other again, the animosity that develops in litigation is particularly damaging in family law where the parties may need to deal with each other for many years after the trial is over. Rather than fostering hostility, mediation helps the parties develop the skills necessary to continue discussing, negotiating, and cooperating with each other for the long term. Better Compliance: When couples have the opportunity to work out their own agreement, they are more likely to abide by the agreement and avoid additional litigation costs to enforce it later. Privacy: Often litigation involves matters the parties may wish to keep private. All documents filed with the court are public records that can be viewed upon request. Mediation, with its protection of confidentiality, is well suited to protect the privacy interests of the parties. Creativity: The couple can be creative in crafting solutions to their unique issues whereas a judge, who must get through a big caseload, usually applies cookie cutter solutions without considering the couples uniqueness. Self determination: No one knows what is best for you better than you do, and in mediation, all decisions are yours. There is no judge or arbitrator to impose a decision upon you. There are several approaches you can take to maneuver through this emotional, financial, and psychological minefield. Adversarial is the typical contested divorce in which each party hires a lawyer and embarks on a lengthy and costly process involving discovery, depositions, and hearings and culminates with a judge imposing a resolution. Although it is still the best choice for some cases, like those involving domestic abuse, it has become way too expensive for many couples. Also, the emotional and psychological damage a contested divorce can cause the parties (and their children) is often far worse than the financial damage. Finally, nothing is private in a contested divorce as all documents filed are considered public record unless the judge orders otherwise. Collaborative law is an approach in which each spouse hires a "collaborative lawyer" to represent them and the parties agree not to pursue an adversarial lawsuit to resolve their differences. Other professionals, such as counselors and accountants, are also be engaged as needed to guide the couple through the process of reaching an agreement. By avoiding litigation procedures like depositions and hearings, collaborative law is less expensive than a litigated divorce. Because each party retains their own attorney, however, collaborative divorce can still be unaffordable for many, even if all the issues are agreed to quickly. Mediation is conducted by a trained and certified neutral professional, called a mediator, who facilitates a discussion between the parties to help them reach an agreement. 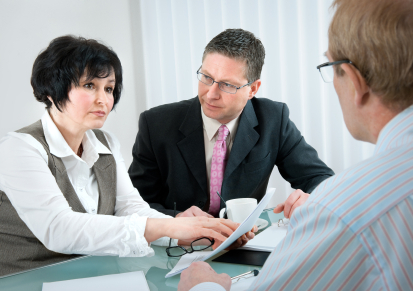 This process can be utilized at any time during the divorce process. When used after suit has been filed and the parties are represented by counsel, however, it becomes a component of the adversarial divorce, which often makes it difficult to bring about the cooperation required to reach an agreement. Also, the cost benefits of mediation is lost if done very late in the litigation process. 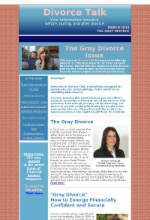 Cooperative Divorce is how we describe the approach we use at the Divorce Mediation Center of South Florida. A trained Florida Supreme Court Certified Family Mediator meets with you before suit is filed (pre-suit) and before you hire attorneys (pro-se) in order to help you identify the issues that are unique to your case. We facilitate the discussion between you to help you determine the solutions that best suit your needs. Cooperative divorce is similar to the collaborative approach in guiding you through the divorce with as little conflict as possible. It is different from collaborative divorce in that a mediator, rather than two lawyers, facilitate the process to provide a far less expensive alternative.